What does NAV of mutual fund signify? The NAV (net asset value) of a mutual fund is the sum total of the market value of shares and other securities and cash held in the portfolio of the MF scheme, minus the liabilities, divided by the total number of outstanding units. The NAV (net asset value) of a mutual fund is the sum total of the market value of shares and other securities and cash held in the portfolio of the MF scheme, minus the liabilities, divided by the total number of outstanding units. Going by this definition, the NAV of a MF scheme is the book value per unit of the scheme. 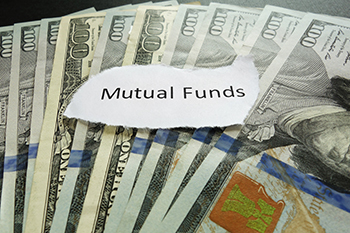 So, does it make sense to invest in a new fund offer (NFO) or put in your money in an existing MF scheme? The units in NFOs are available at Rs 10 while the units of existing MF schemes are available at NAV of the scheme, which could be Rs 12, Rs 15, Rs 50 or Rs 100. So, which is better: buying the new units at Rs 10 or buying existing units at higher price? The NAV of a scheme is an indicator of the performance of the scheme. If two schemes of the same type are launched at the same time, the higher the NAV, the better the performance and, therefore, higher the return on investment which will be reflected in higher dividend pay-outs over the years. On the contrary, if the NFO is new, it does not have any NAV to show for performance. Hence, it is difficult to say how the scheme will perform in future. But when you buy units of a MF scheme at higher NAV, does it mean that you are buying the units dearer? Not really. This is because you are paying a higher price as the value of the units have appreciated over the years due to appreciation in the value of the scheme’s assets commensurate to the value of the outstanding units. However, it is true that as the dividend is declared per unit, the return on investment would be higher when you buy the units of a new scheme or when the NAV of an existing scheme is lower. That is probably the reason why retail MF investors prefer to subscribe to NFOs rather than buying the MF units of existing schemes which are available at higher NAVs.